Key Health Indicators are performance counters with thresholds aimed at revealing user experience issues. Gathering KHI data is usually the first step to implementing the Call Quality Methodology (CQM), which is focused on ensuring a quality audio experience for Lync users. 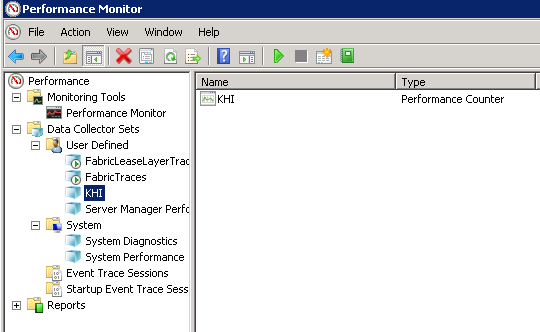 KHIs are used in addition to standard Lync Monitoring Solutions (e.g. System Center Operations Manager, Synthetic Transactions, Monitoring Server) and not instead of those solutions. 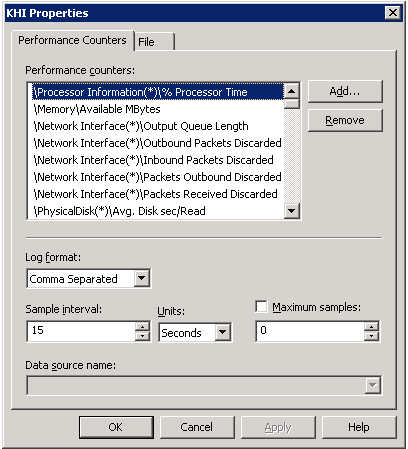 Collect the KHI performance counters and populate the KHI spreadsheet accompanying the Networking Guide to produce a scorecard that will help you determine the server health of a Lync deployment. Once populated, it guides you in repairing the environment and gives additional insight to other stakeholders. Evaluate KHIs on a monthly basis and incorporate them into any deployment’s ongoing operational processes. Download the Lync Server Networking Guide to see the full list of KHIs and to get the related spreadsheets. Once the data collector start it will generate a CSV file under the C:PerfLogs folder. This CSV file will contain all counters data and it will update the file every 15 seconds by default. The Data Collector should be started before the company business start and should be stopped at the end of that business day. Once you stop the data collector, copy the CSV file to a central location. 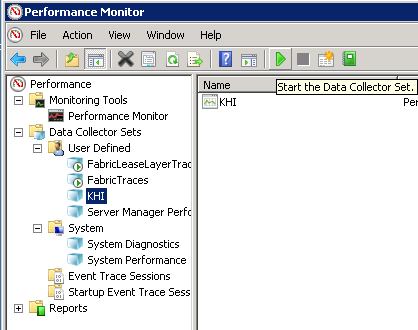 Once all data was gathered in the CSV file, it needs to be open in Excel in order to summarize all results and copy them to the KHI report extracted in Stage 2: Lync_Server_2013_Key_Health_Indicators.xlsx. The First tab of the Excel report contain an example of how the report should look like after filling in the data gathered from the CSV file. Please note that currently copying the data and summarizing the AVG and MAXIMUM results involve in a manual process by using Excel or any 3rd party tool or script which can summarize the Performance Counters data. Microsoft are aware of that, and to my understanding they building a tool which will make this step automatically, though there isn’t any official release date yet. Please clarify your 8th point i.e. “The Data Collector should be started before the company business start and should be stopped at the end of that business day.” so does this mean I cant run it after deploying SFB environment fully?